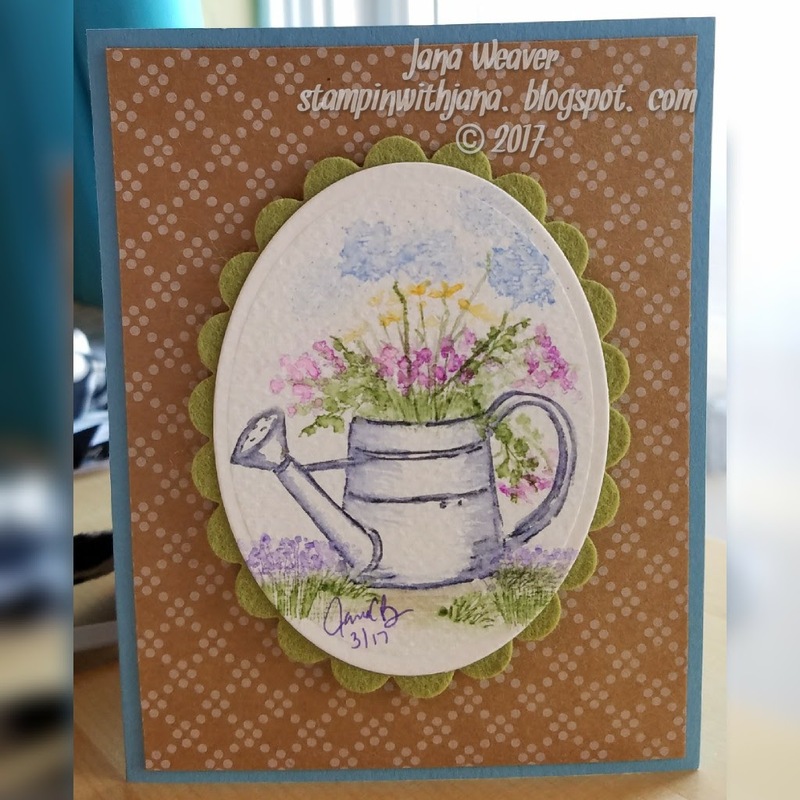 This latest card features the Watering Can mini set along with a few staples from the foliage and floral sets. And to keep it in line with the challenge, the image was mounted on some felt. This time Art Impressions challenged us to use felt on a project. I still have a ton of felt from when I went through that phase a few years ago, so it was pretty easy to pull some out! I used my SU! heart thinlets to cut out this heart to stick around my bow - I like the effect. The main image is mostly from their newest stamps. I love all the little kitties (can't wait to get my bunnies that I won for my honorable mention during their last challenge!) and the stump is from the new Rustic Container set. And then the classic foliage and floral sets along with the new floral set. One of these days I'll remember to take a photo of all the stamps and pens I use for these! 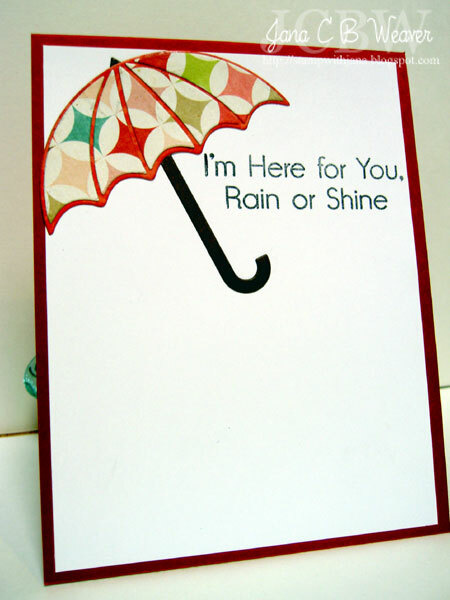 The sentiment is from their new SC Sentiments Set, which pairs beautifully with the watercolor images! 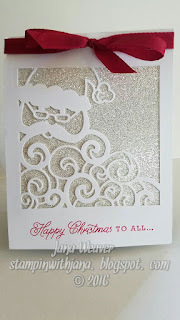 Have a fabulous day, and be sure to check out all the other gorgeous cards over at the AI blog. Ok, I'm back again with another AI spring card. Actually, I've made a bunch this week, but I'm only going to share one more today. 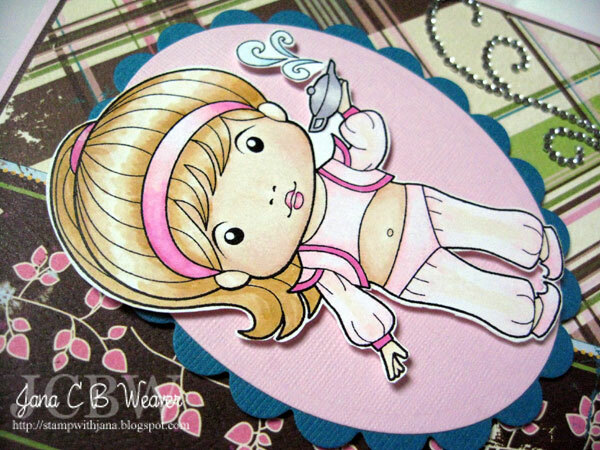 This style of watercoloring is just so relaxing...I love it!!! 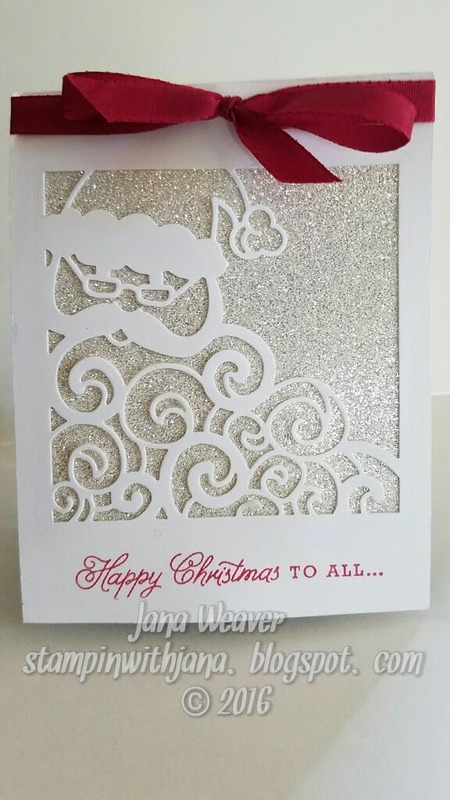 This card uses the adorable set that was an exclusive for people taking classes from AI last year (2016) - and I've already got the set from this year that I'll have to use soon! 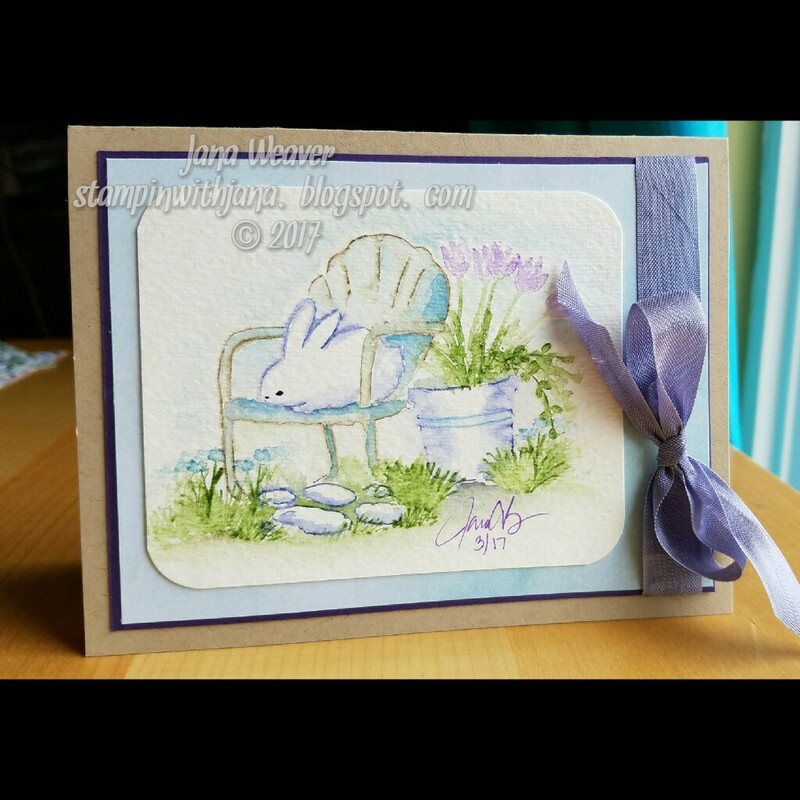 I hope you're having a wonderful spring day! I love the Art Impressions (AI) watercolor line of stamps. 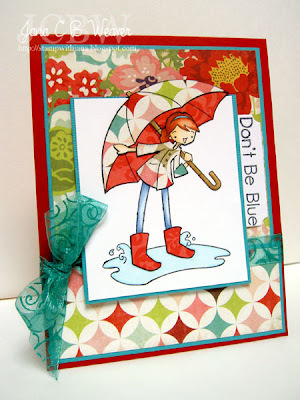 It is so easy to create a unique, gorgeous watercolor painting in just minutes with these stamps. I've met Kendra (HI!!) several times over the last few years at various Scrapbooking Expo's and she is one of the most kind and fun people I know. My BFF Judy and I look forward to each Expo just so we can catch up with her. At the most recent Expo in Pleasanton, I attend the AI watercoloring class again, and learned some great new techniques. 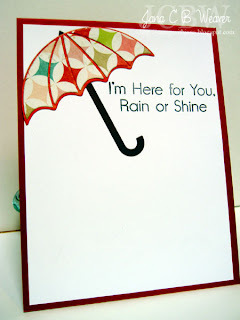 One of which was how to get multiple colors to show through on images so they have a more metallic look to them. 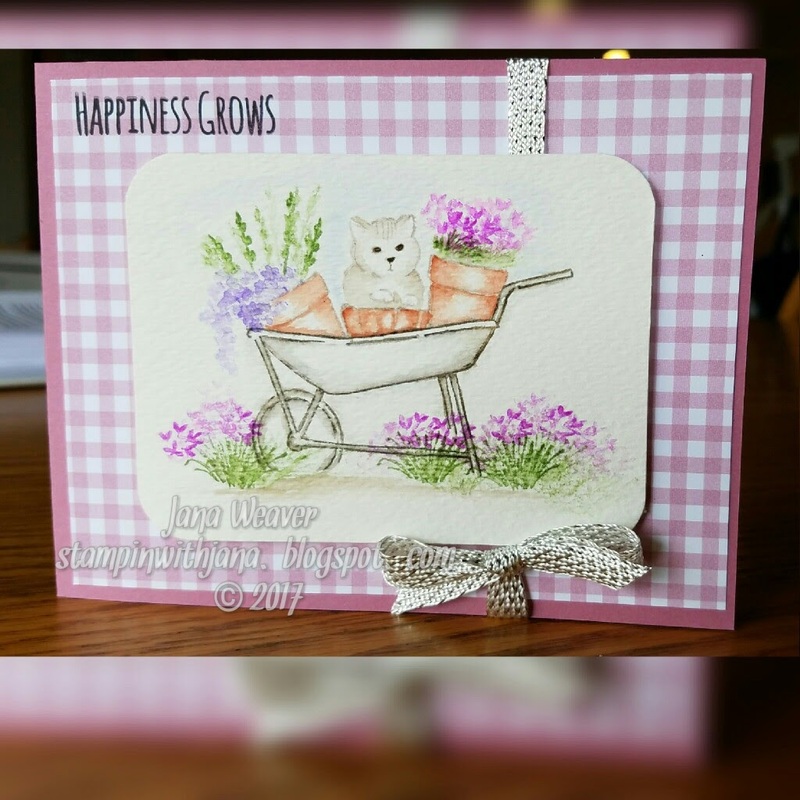 For instance, the wheelbarrow below was first inked with Marvy LePlume marker # 86 (African Violet), stamped off, then inked with #45 Sepia. The results are quite fun to play with. Not sure how long I'll be able to keep at it, but I'm loving that I'm finally taking some time to stamp for me, just for fun again!! I saw this fabulous video on Facebook this week by an SU! 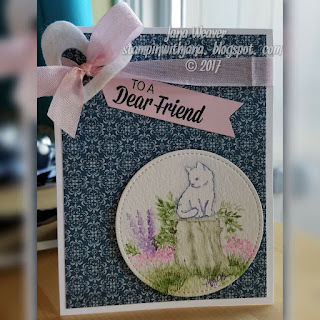 demo in Germany (Sina Mueller) and she linked to THIS YouTube video by Stampin' Sacha for even more instructions on how to make the cool new Pop-Up Fold card. I just had to try it! Sitting in my stamp room (AKA the guest room!) 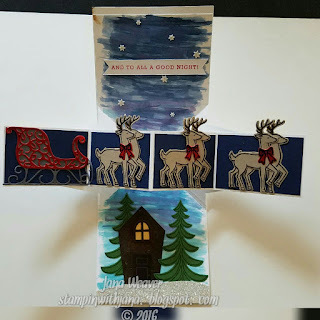 I realized I wanted to use the Santa's Sleigh stamps and thinlet dies on the inside, and thought the detailed Santa thinly along with the Greetings from Santa stamp set would tie it all together nicely. Hope you all enjoy this card (and I'll try to get the good camera out this week, I just realized how bad these photos really are!) I'll try to start posting more of the ones I've been working on the last few weeks as time permits. Thanks for stopping by!! Hi all 2 of you (you too mom!) who are still actually out there. When I took a break from blogging almost a year ago I never imagined I'd be gone this long. But...real life catches up and takes over sometimes, but I'm happy to be back here in blogland - at least a little. 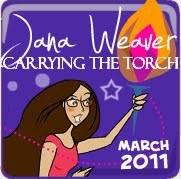 The good news, I have been creating! The bad news, still not sure I'm ready to commit to regular blogging again, but I'll try. Here's a fun card I made recently using the MFT weekly sketch and the new A La Mode The Rainbow Will Come (which looks like it's out of stock already!) I used some beautiful new Echo Park papers to piece her umbella, raincoat and boots, and then I added a die cut umbrella on the inside as well! Happy Birthday Marci & Luka! I can't believe Marci and Luka turned 1 this month - it seems like just yesterday that we were planning for their launch to the world. And they've done so many new things in that time. Luka has taken up several sports, Marci, not to be outdone, is sporting too. They've been to far-off places and fairytale worlds. And I can't wait to see what they come up with next! 1. Become a follower and/or subscribe to our Blog. 2. 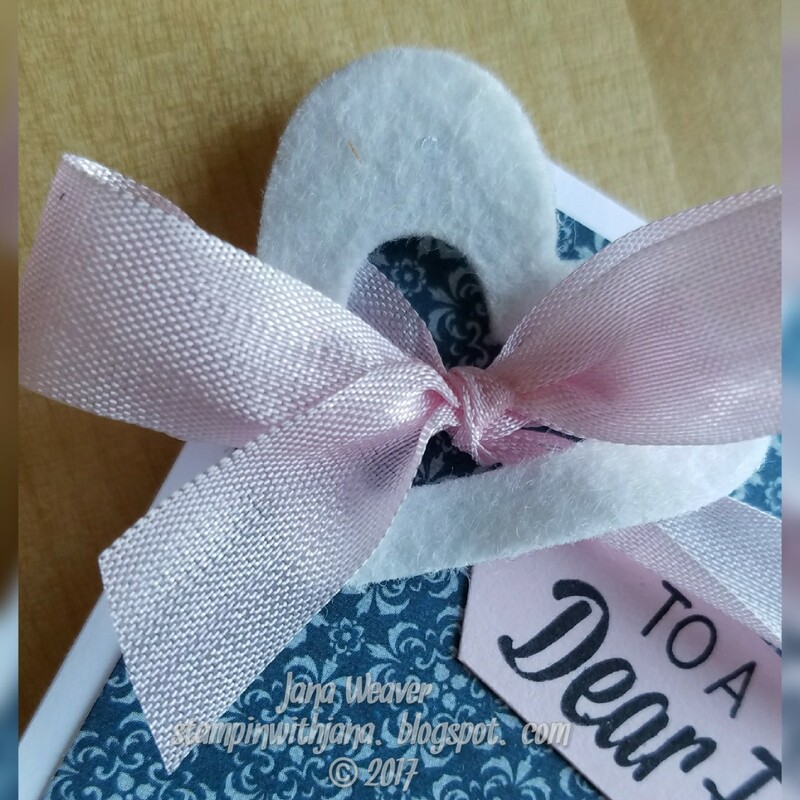 Display a picture of our Blog Candy on your blog with a link back to THIS POST. You have until August 31st to leave your answer on the La-La Land Crafts blog (one comment only please). We will draw the winner’s name on September 3rd. Now let’s get on with our AWESOME hop!! I made a fun little Birthday Card to celebrate Marci's birthday. And the fun part? If you live in the Bay Area, you can make it too! This is one of 3 cards my students at Memories Live On in Cupertino will be making on September 25th (click on the class link at the top of my blog for more info.) Genie Marci is one of my favorite new stamps...she's so much fun to color. Especially with those sheer pants and sleeves! Thanks for stopping by today. Be sure to keep on hopping to see what amazing creation Jeannette has come up with - I know you won't be disappointed! And remember after finishing the hop to go back and leave your comment about which stamp was your favorite of the hop! !